The e-book, threat or treasure, is definitely a hot topic within the book industry . As we all know, there is still quite some room for improvement and innovation. But how to approach the e-book? That remains the central question to which no one seems to have the answer. There are still too many obstacles on the road that keep us from exploring the opportunities for the digital book to the fullest. Yet one of these obstacles can be removed very easily: by taking book out of e-book. As Sapir and Whorf have claimed, language influences thought. The things we focus on are determined by the language we use (Whorf and Carroll, 1964). Using the adequate terminology is therefore not only necessary for communication purposes, but it is also fundamental to our thinking processes. In my opinion, the current term e-book (or enhanced e-book if you want) keeps us caught in the idea that the digital book is a mere electronic version of the paper book, whilst it can be, and maybe even should be, much more than that. In referring to the digital adaptation of a book in a more adequate way, we will be able to embrace the digital possibilities for our beloved paper book. Let’s first have a look at the terms book and its derivation e-book. A book is “a written or printed work consisting of pages glued or sewn together along one side and bound in covers”. It is unnecessary to mention that this definition describes just the physical appearances of the book. Of course, there do exist textual requirements for a written work to be considered a book, too. The meaning of the word e-book is pretty clear: an electronic book. If we take up the dictionary we do read in fact that an e-book is “an electronic version of a printed book which can be read on a computer or a specifically designed handheld device”. Nothing more and nothing less. And that is exactly my point. I believe that for the e-book and the book to exist alongside each other, complete and reinforce each other, they need to be seen as two distinguished art forms with their own, unique characteristics. Even though the paper book has been reinvented lately and is still subject to change, we can state that for the digital book there is a wide scale of possibilities still to explore by publishers and writers alike. These possibilities include textual components such as annotating words, adding notes or even former versions of the manuscript, etcetera. But also visual and auditory ones like illustrating the text with images, incorporating relevant videos and suggesting music to listen to while reading. It has no doubt that there are many more possibilities to think of, and who knows which technical developments are there to be developed in the near future. Still, if we really want to open our horizons for these ways of bringing our paper book into the digital world, we should start thinking differently. As I stated earlier, it all begins with language. In our efforts trying to envisage the digital possibilities for the book, we now are certainly being blinded by the term book in e-book. Sapir and Whorf, as mentioned beforehand, taught us that our thinking and our categorization of the world is influenced by language. So if we really are to open our minds to the digital possibilities for the book we need the terminology we use to enable us to do so! 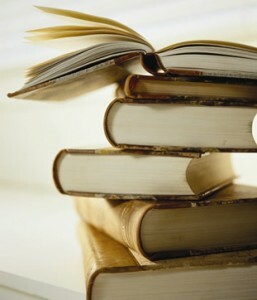 Therefore, taking book out of e-book is a crucial first step in the right direction. For example: let’s call it e-story when it is the mere text of the original paper book, and e-experience if it also contains videos, images, music and similar features. This will help professionals in the book industry to free themselves from existing mental boundaries and think of the digital adaptation of a book as a truly digital experience, as if it were a new form of art, instead of just a digital rendering of an analog, written book. On the 19th of march the fourth edition of the ‘e-reading & tablet event’ will be held in Spant! (Bussum, The Nederlands). This is the largest event in the field of e-publishing, with more than 50 speakers in 15 seminar sessions and several workshops. Whorf, Benjamin Lee and John B. Carroll. Language, Thought, and Reality: Selected Writings. Cambridge: MIT Press, 1964. Does Adobe Digital Editions replace the paper book? A consumer’s report.